Lying media hacks are losing their minds in the wake of Donald Trump's victory. 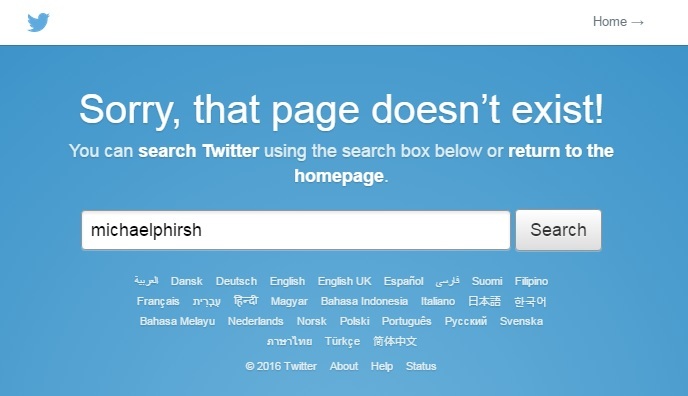 National editor at Politico Michael Hirsh resigned after publishing the home addresses of alt-right figurehead Richard Spencer Tuesday morning and advocating for serious violence. Politico confirmed his resignation following requests for comment from The Daily Caller News Foundation. This guy was publishing articles all day every day saying Trump and his supporters are violent. 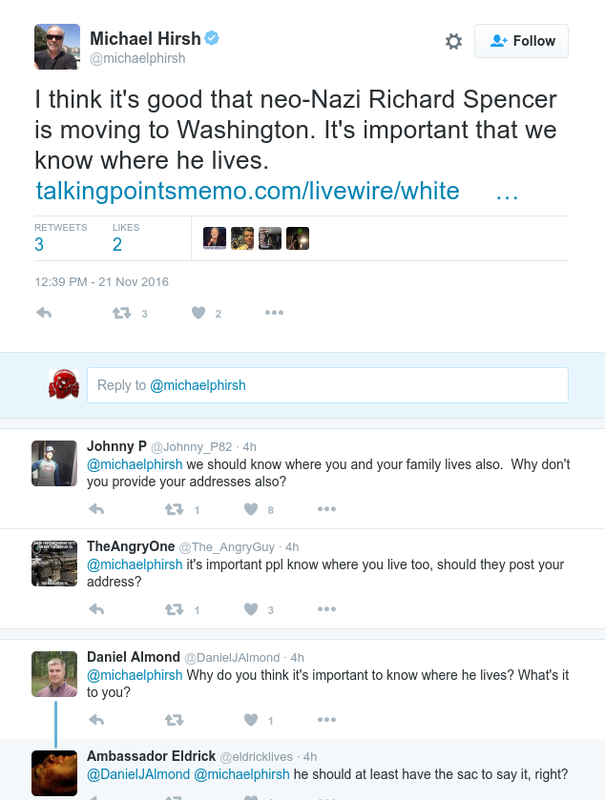 While Hirsh’s initial post could have been charitably interpreted to imply advocacy of a non-violent protest outside of Spencer’s home or other similar non-violent actions, a subsequent question and answer clarified Hirsh’s intentions. Perhaps knowing it wasn’t such a good idea to advocate openly for serious violence against Spencer in a public format, Hirsh deleted the post, but not before TheDCNF grabbed a screenshot. Hirsh’s mention of Bund meetings is a reference to the German-American Bund, a Nazi organization in the United States active in the mid-to-late 1930s, which promoted National Socialist ideology and was often subject to violent attacks by Jewish mobsters in New York City and Newark, New Jersey, using baseball bats. Reading what he wrote, it really sounds like he believes he's in a race war. How much influence did this have on Politico's anti-Trump coverage? Do their other editors believe the same?